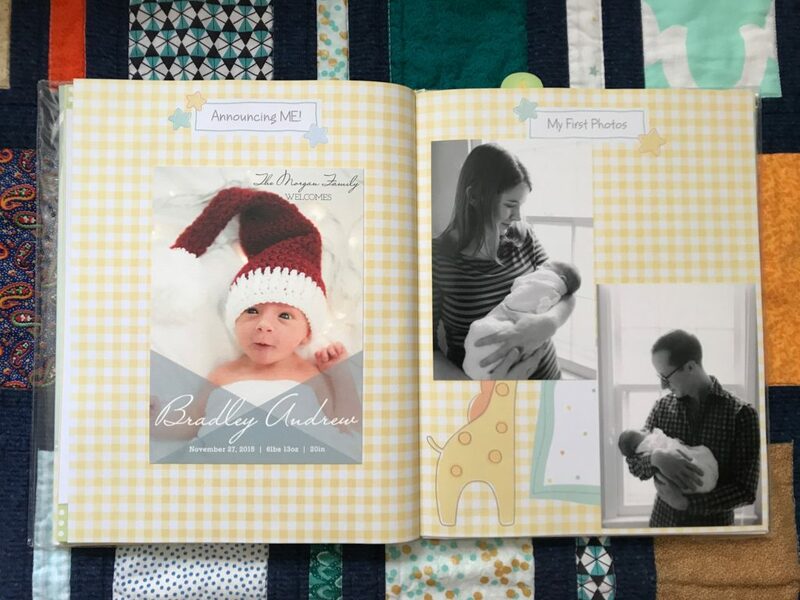 I have really enjoyed working on Bradley’s baby book over the past year. It isn’t anything fancy, and it’s probably considered pretty cheesy for literally everyone except me. 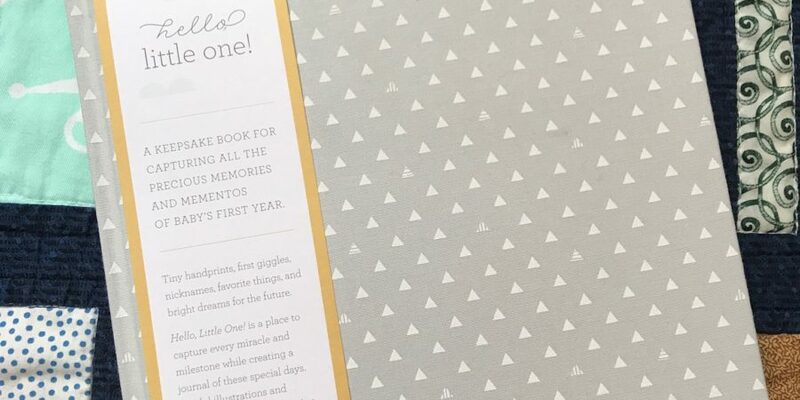 But I have loved writing down his first foods, first words, and sharing our thoughts about him from the early months of his life. Lucy Darling has really adorable baby books like this one, but we didn’t end up going that route. The picture sizes are all designed for Instagram squares, and my personal IG account is sparse. The book we have is for more old-fashioned people with regular 4×6 photos. When we received it, I thought it looked hokey. Now I realize the most important thing is really what’s inside. Rather than creating something digital from scratch (as I have seen some people do from sites like mpix), I think it’s really special to have hand-written stories and sentimental items. 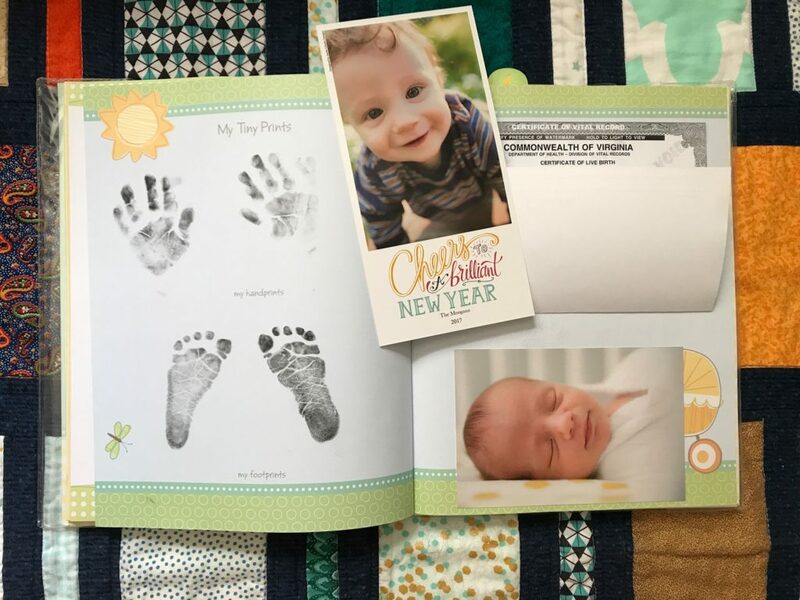 Everything is digital these days, and surely by the time our babies are grown scrapbooks will be a thing of the past, right? Which is why I like this even more. 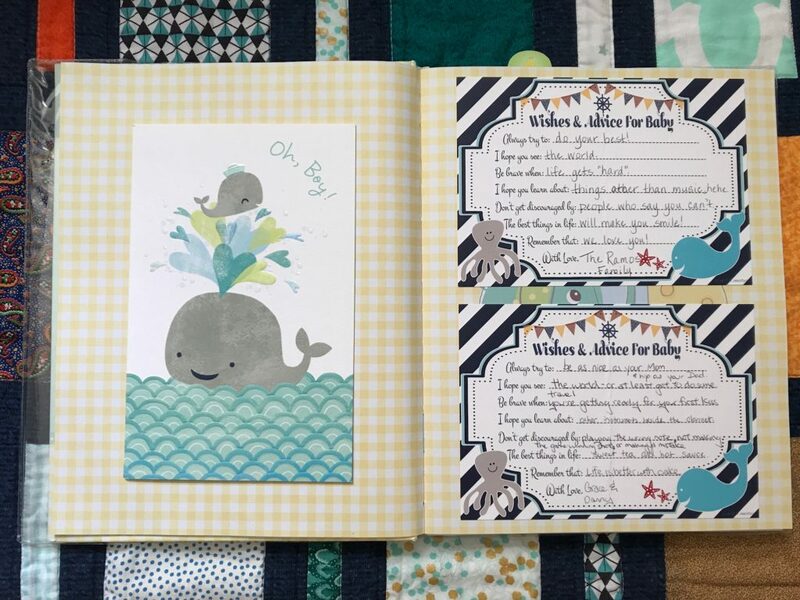 I enjoyed including an actual birth announcement and real fabric remnants from our son’s first birthday party. A digital picture of those things is fine, but stuffing little bits of paper memories in between the pages is really special. And every time I look at his tiny prints, I remember the sheer terror we faced while trying to get the ink cleaned off of those newborn hands. We still have the stained baby wash cloth from the fiasco. 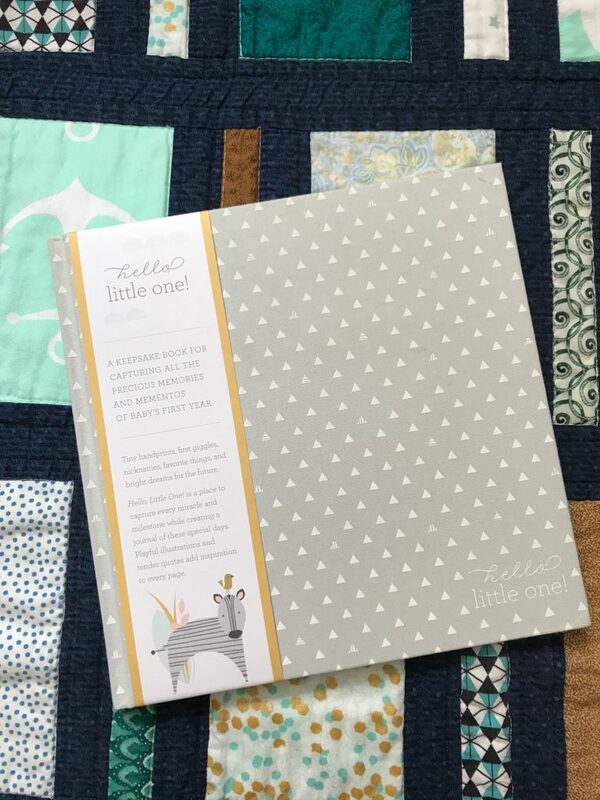 When my BFF Tara was visiting last month, we did a little shopping over at the Mosiac district in Fairfax and I bought this baby book at Francesca’s. I am really excited to start writing in it: goodness knows I’ll need a head start this time. I did not start Bradley’s until he was about 4 months old, but I know the next year of my life is going to be a complete blur. 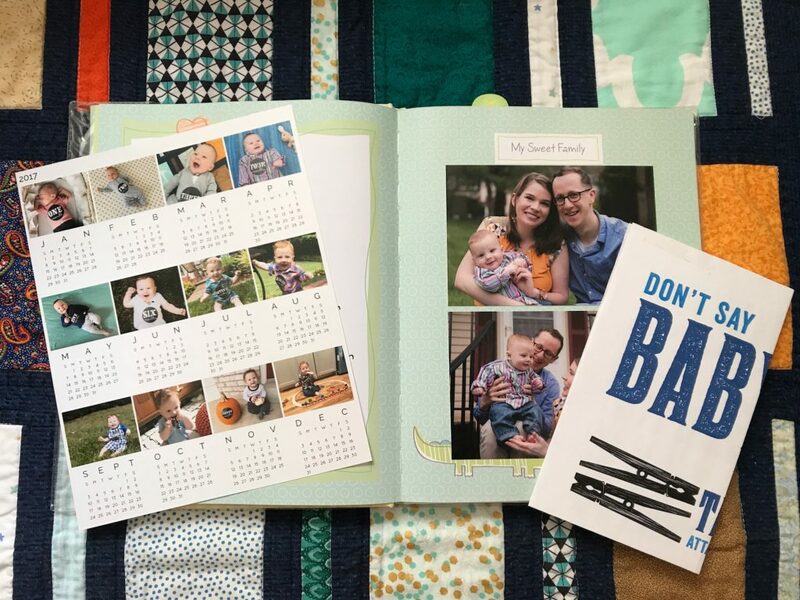 Who was able to keep up with the baby book for a second (or subsequent??) child? I hope I can get it done. I love the idea of creating memory boxes for each kid and including these as part of them.